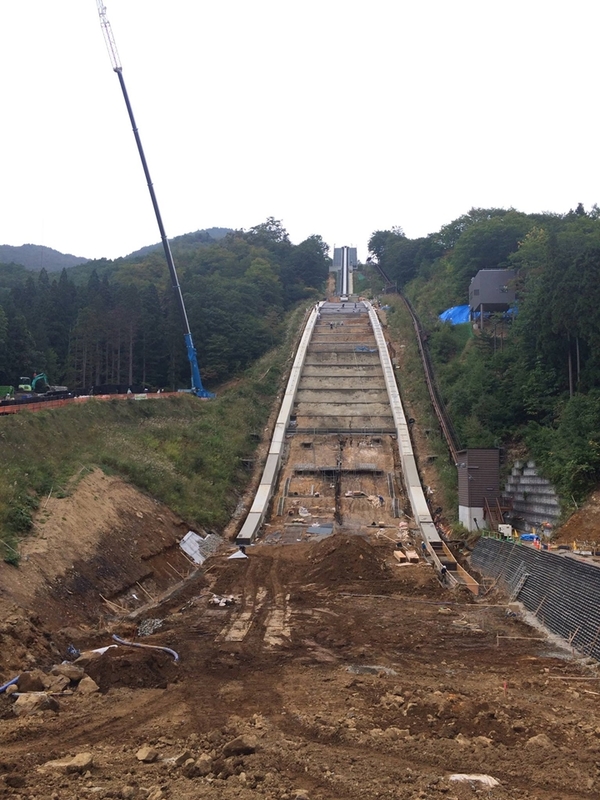 In 2013, there was a lot of process and progress on the Yamagata ski jump in Zao, Japan. 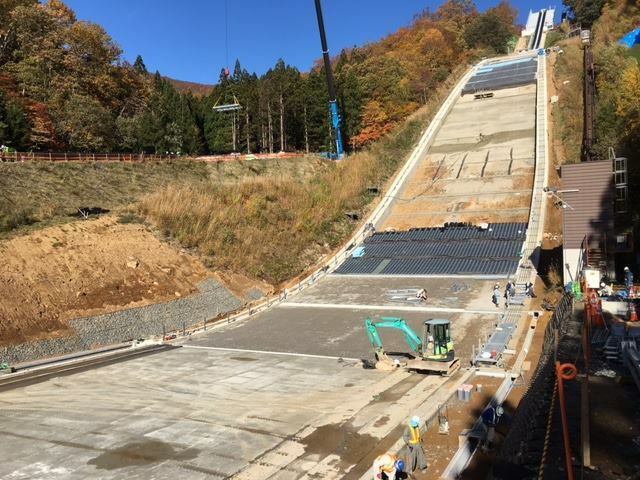 In course of a complete renovation, the old ski jumping hill was demolished and the existing geologic area has been used to build up a new ski jump. The inrun tower was reconstructed and the popular inrun system “ski-line” was implemented. It includes a summer and a winter inrun track in one and offers perfect inrun conditions all over the year. 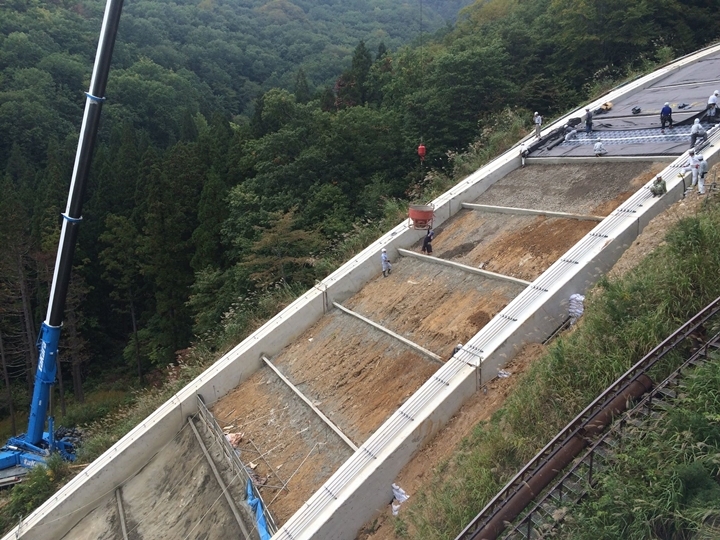 In addition to that, the infrastructure at and nearby the ski jump was improved, for example by a new lift. Additionally, a new judges’ tower and new floodlights were build up. However, until this winter, the ski jump was only in order half a year, in winter. This has been changed at the 11th of December. 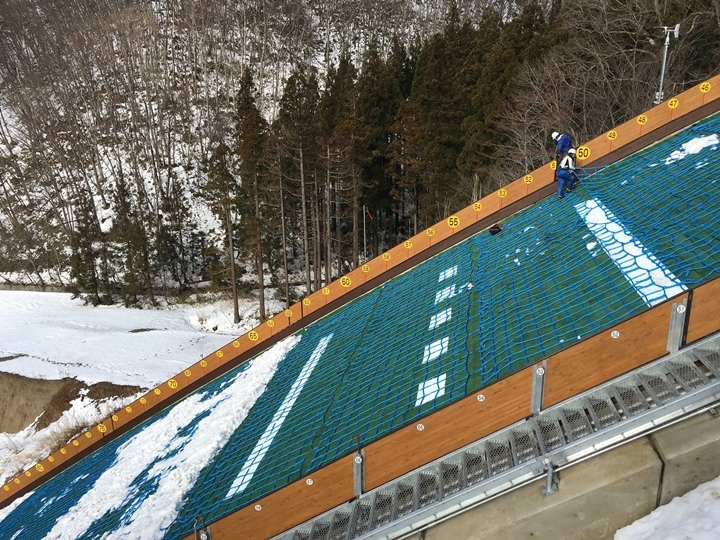 After a re-design of the slope (also in 2013), the plastic mattings were installed in the past weeks. 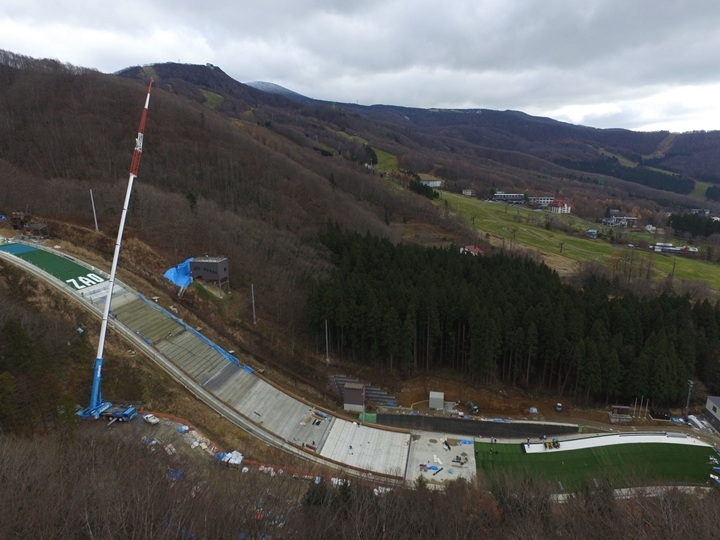 The ski jumping hill in Zao can be used for training and competitions throughout the whole year from now on. 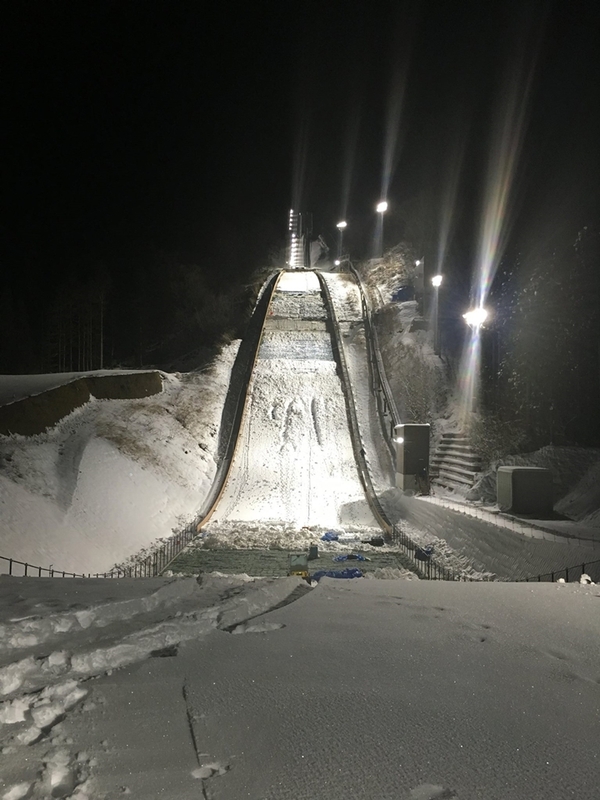 Due to the winter and the preparations for the upcoming ladies’ world cup in January, the first jumps on mattings can be made in spring 2016. 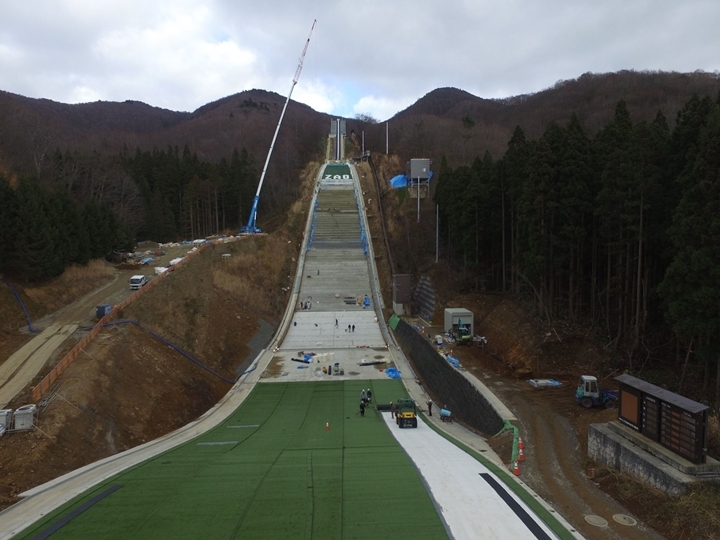 Nevertheless, the complete renovation of the Yamagata ski jumping is finished now. The new facility will be homologated by the International Ski Federation (FIS) and receive a new certificate. 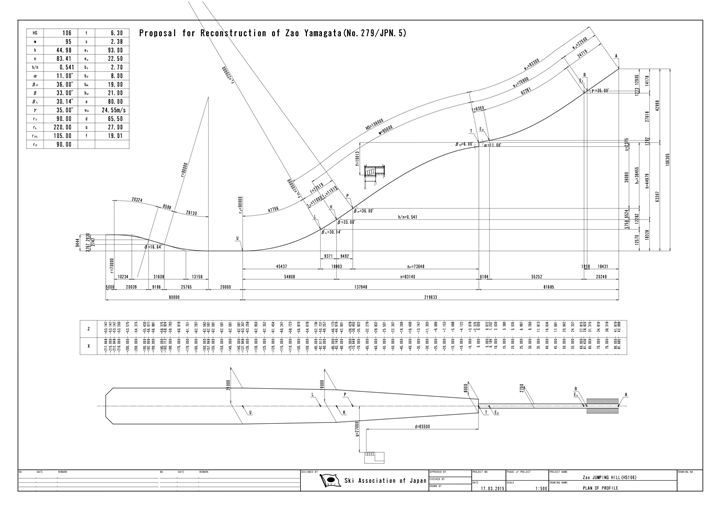 Remarkable in there: the main ski jump parameters have changed. The former K90 is now a K95 – the hillsize changed from 100 to 106 meters. So now the complete ski jumping hill profile is adapted to the current FIS standards. 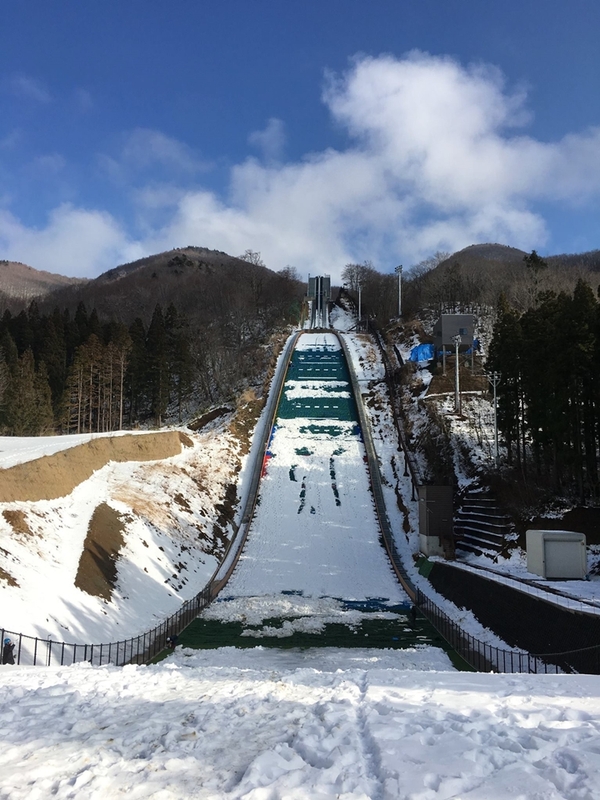 For the world’s best ski jumping ladies this means that it will be easier to reach the distance of a hundred meters on a enlarged ski jump.